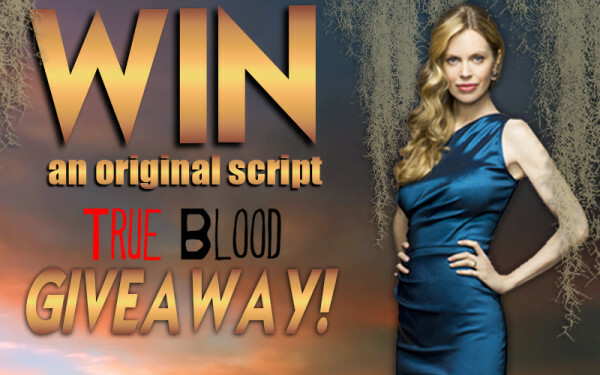 In support of her favorite good causes Kristin Bauer van Straten has launched a series of Giveaways where she will be giving away some of her own personal True Blood scripts. The first Giveaway has just started and you have until the end of the month to make a donation for a chance to win a SIGNED script. For more information on how to participate check out Kristin’s Facebook page here. I miss true blood so much and I miss Kristin and alexander skarsgard together they were so great on the show do they still see each other I wonder I never see pictures of them together at all ? I am still kind of socked that alexander ;s girlfriend is alexa chung wow he must like bone skinny girls and Heavy smokers everytime I see a picture of her she is smoking that is so bad for you ! I must say I think he can do better I just can’t see them together in the past he has dated very beautiful girls she is ok but I just think she is not the girl for him I guess will see what happens between them ? Kristin I wish I could meet her one day I am a big fan she seems so nice classy and beautiful the best !